Bake biscuits according to package directions. Set aside to cool. In medium bowl mix pork, oil, Worcestershire sauce, Cajun seasoning, salt and pepper. Shape pork mixture into 6 patties about 2 1/2 inches in diameter. Place patties on grill over medium-high heat. Cover grill; cook 6 to 8 minutes, turning once or until patties are no longer pink in center. 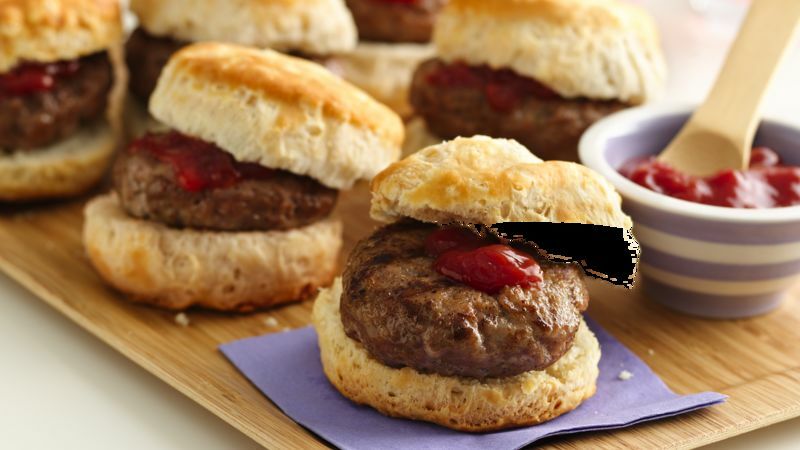 To serve, cut biscuits in half horizontally, place patties on bottom halves of biscuits. Top with ketchup and top halves of buns.